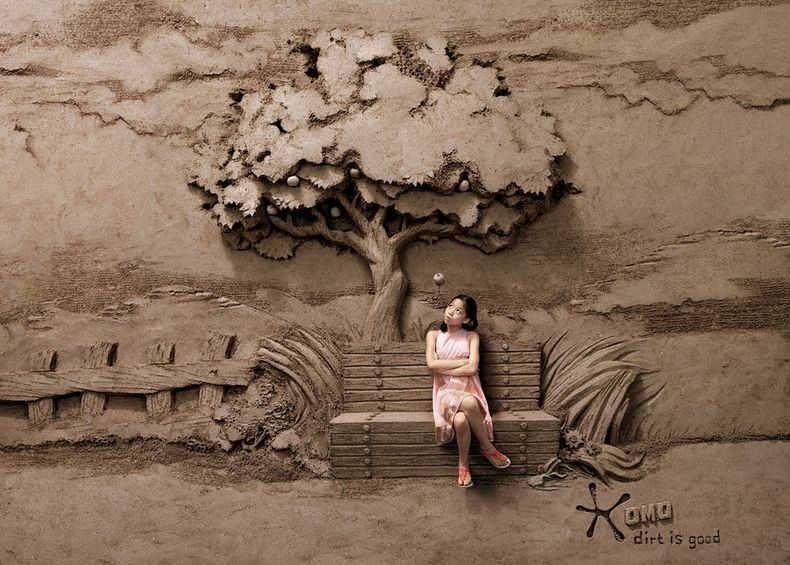 Three-time award-winning world champion sand sculptor Joo Heng Tan was approached by ad agency Lowe in Singapore to help create these impressive backdrops for an OMO washing detergent ad campaign. 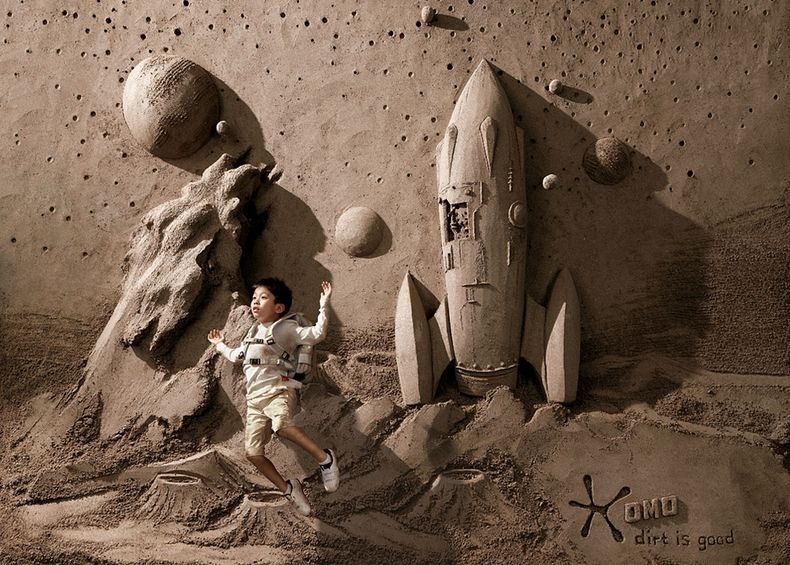 In an age when something like this could have been created digitally, they asked Tan to physically build sculptures to be used as backdrops in ads encouraging kids to get dirty. 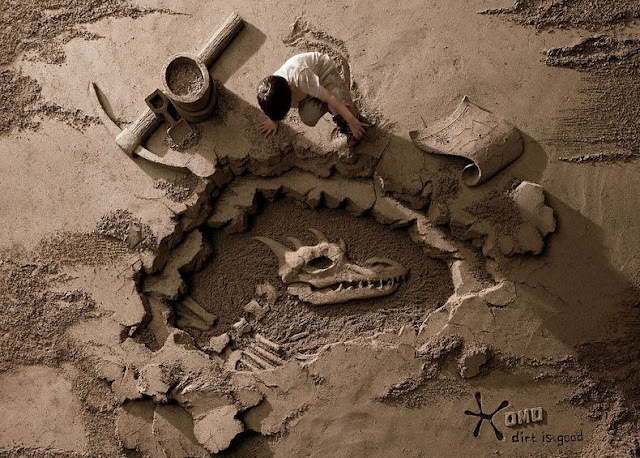 Tan built three 18-ton sand sculptures which consisted of a giant tree, a galactic setting and a dinosaur-searching escapade.